After a trip to Old Navy last week I was blown away at all the cute stuff they had out for this season! LOTS of stripes and bold prints! 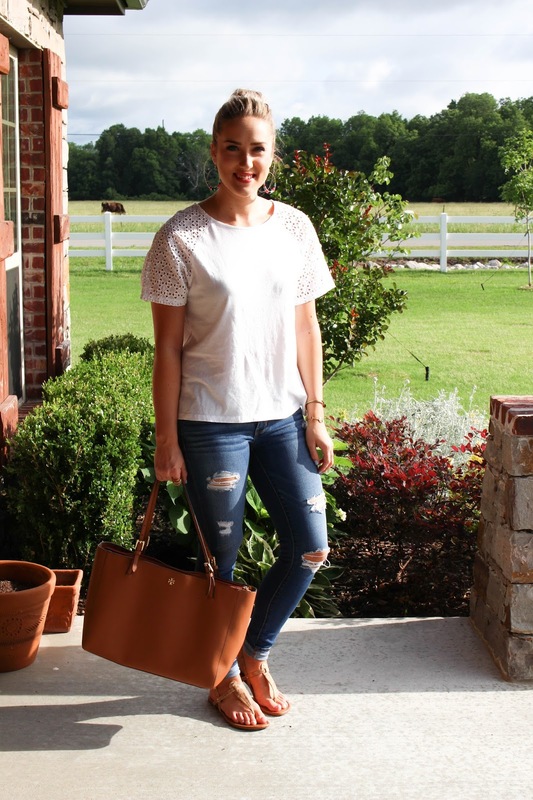 I actually picked up this eyelet-sleeved tee while I was there! They also have it available in blue as well. Old Navy is having some major sales going on right now! I am linking more products in the widget below. Hope you're having a fun and safe Memorial Day weekend! SO thankful for this 3 day weekend.